Show Dem Camp are without doubt one of Nigeria's finest rap duo of all time, armed with an impressive discography. Here is our definitive ranking of every SDC project. 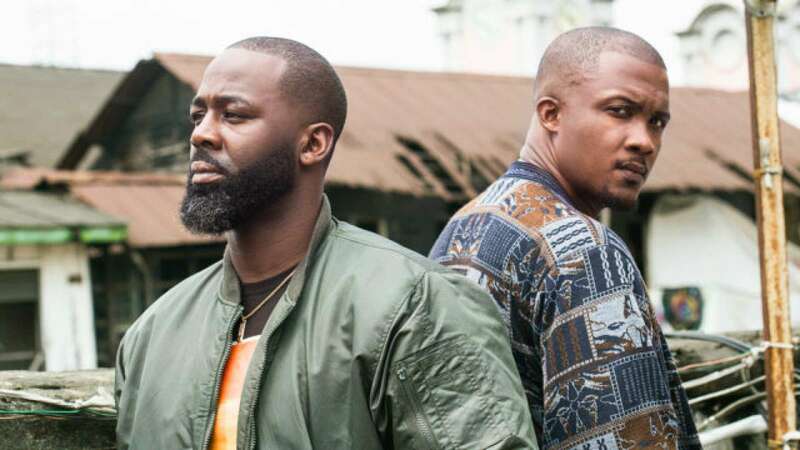 Show Dem Camp, made up of Ghost and Tec are unarguably the most acclaimed and skilled duo in the Nigerian rap scene for the past few years, and already on their way to becoming one of the favourite duos of all time. The duo exemplifies the yin-yang concept in how they complement each other, while Ghost is renowned for his gritty voice and heavy bars, Tec gets the love for his delivery and rhyme pattern. There is a balance created in their art and over the years they have displayed growth, heightened standards in terms of lyricism, concepts, and musicianship. From 2010, when they made a grand entrance with the release of their debut mixtape, &apos;&apos;Clone Wars 1&apos;&apos;, very few have been more consistent in churning out reputable body of works, making this job of attempting to rank them in any order quite difficult. In seven years, Show Dem Camp has delivered six projects including the recently issued &apos;&apos;Palmwine Music 2&apos;&apos;, which critics deem to be in contention for one of the best albums released this year. This is our ranking of all SDC project, from &apos;good&apos; to &apos;best&apos;. Working with regular collaborators like Poe, Lucci and Yaylow, the 17-track mixtape remains one of SDC&apos;s most conscious body of works inspired by happenings within the country at the time. In bars, influence and consistency, Show Dem Camp already has its legacy firmly secured in the history of Nigerian hip-hop and it is likely that they will remain untouched for a long time to come. The 18 track debut studio album promised much and delivered on every count. With features including heavyweights like 2face Idibia, MI Abaga and Efya, SDC served up a perfect representation of modern day hip-hop in dope lyricism, soulful beats and melodic hooks. This is without doubt of one of the finest debut hip-hop albums out of the country. Released in mid 2017, at a point where the duo was in search for something extra, a niche to their art. Lyrically, they were regarded as formidable, but sonically and approach wise, few still had doubts and they were out to answer all the questions to their music. &apos;&apos;Palmwine Music 1&apos;&apos; was the &apos;bringing it home&apos; project, the experimental EP heavily influenced by local sounds with a healthy cast of well selected collaborators in the likes of Funbi, Ikon, Ajebutter22, Odunsi (The Engine) and Tomi Thomas. One name who deserves all the eulogies for the transition into this more embracing sound is producer Spax, who also brought his magic to Vol 2. The project showed aspirations for radio singles and acceptance outside the hip-hop community. It delivered some of their biggest commercial singles in &apos;Up To You&apos; and&apos;Poppin&apos;, kickstarted a festival that has seen them spread their brand to a young and vibrant audience and also encouraged the growth of the &apos;Chill music&apos; sub-genre that has been replicated in other projects like that of The Collectiv3. How do you follow up a culturally defining project as &apos;&apos;Palmwine Music 1?&apos;&apos; After carving a new direction and sound to their art, SDC had the most difficult job of repeating the success that they delivered on &apos;Palmwine Music 1&apos; and this they have done with &apos;&apos;Palmwine Music 2&apos;&apos;. The album is everything plus more, carefree yet compact, easy on the ears yet deeply intriguing to unravel, this is that type of album that not just musically, but conceptually, strengthens their discography. From the beautiful collaboration with Burna Boy in &apos;Legend&apos; to the overtly blissful &apos;System Fail&apos; alongside Nonso Amadi, and the vibey &apos;Tropicana&apos;, this is a thoroughly put together and enjoyable album. This was the project that set it all of. An undisputed classic and one that introduced Show Dem Camp as the next major force in Nigerian hip-hop. After buzzing underground for quite a while, SDC eventually put out their very first body of work in 2010 and it made quite a solid impression. The 16 track deep mixtape which introduced us to the likes of Poe was groundbreaking, as they successfully incorporated the Nigerian story into their artistic expressions, painting relatable illustrations on songs like &apos;Victoria Island of broken dreams&apos;, and &apos;Memoirs&apos; with Lucci. Released on the last day of 2016, Show Dem Camp delivered a parting gift for the year and opened up the awesomeness of another by raising a bar that they already set so high. The 12 track project is perhaps their most majestic and lyrically gripping body of works with songs like &apos;Rise of the Underdogs&apos;, &apos;Respect My Name&apos; ft Ikon, &apos;10,000&apos; and &apos;Live, Love, Laugh, Eat&apos; featuring Sir Dauda all contributing to making the project a timeless masterpiece. &apos;Clone Wars 3&apos; is revered based not just on lyricism alone, but idea, themes, imagination and execution, making it not just SDC&apos;s best project yet, but also mentioned in the debate for Nigerian rap projects of all time.